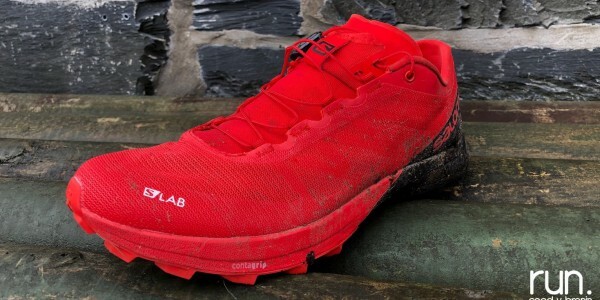 The 2017 Goldrush Trail race showed just why it is considered one of Coed y Brenin’s very best trail running routes Coed y Brenin last weekend as a record number of trail runners and canicross racers hit the trail in glorious spring sunshine. 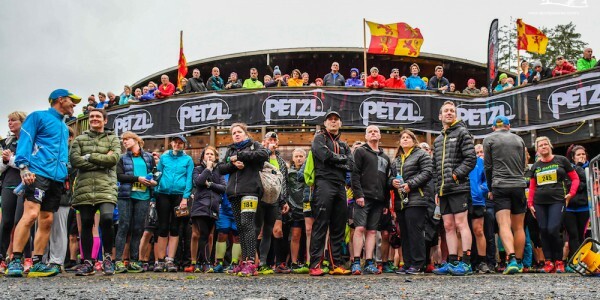 Underfoot conditions were dry and responsive and with 200 trail runners and 50 canicross competitors lining up to face the 8.5 mile route, record times were definitely on the cards once again. 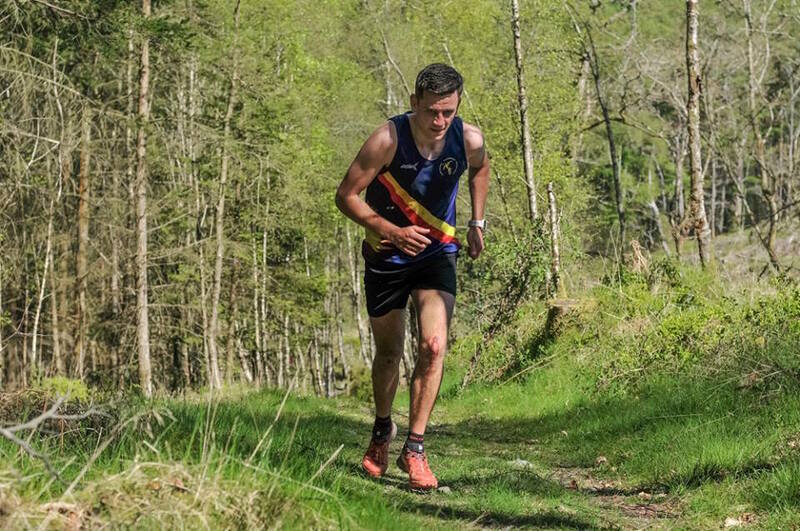 So it proved, as local runners Tom Roberts, Ifan Richards and Geraint Jones produced some sparkling performances in the sunshine, with Roberts picking himself up after an early fall to break the 2016 course record, in a stunning 56 mins and 42 secs. Richards came through strongly in the second half of the race to take second (58:34), with Jones completing the podium in a very good 1:01:33. 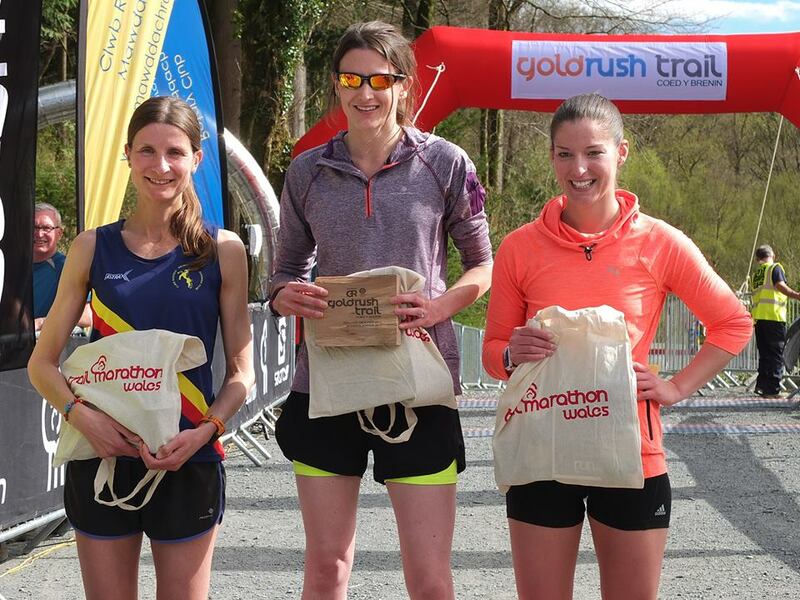 In the women’s race it was a maiden Coed y Brenin win for regular Lucy Wasinski (1:12:59), as she pulled away from Eryri Harrier Elliw Haf (1:15:05) over the closing miles. 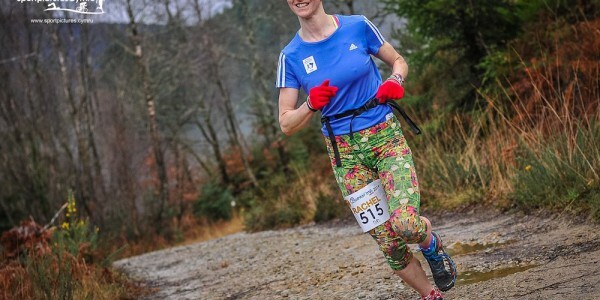 Meirionnydd runner Anneliese Loveluck completed the top 3 with a time of 1:16:13. “Myself and my husband Greg have been coming here and enjoying these races for a few years now, and the weather and event atmosphere never disappoints. It’s great to actually win for the first time too! 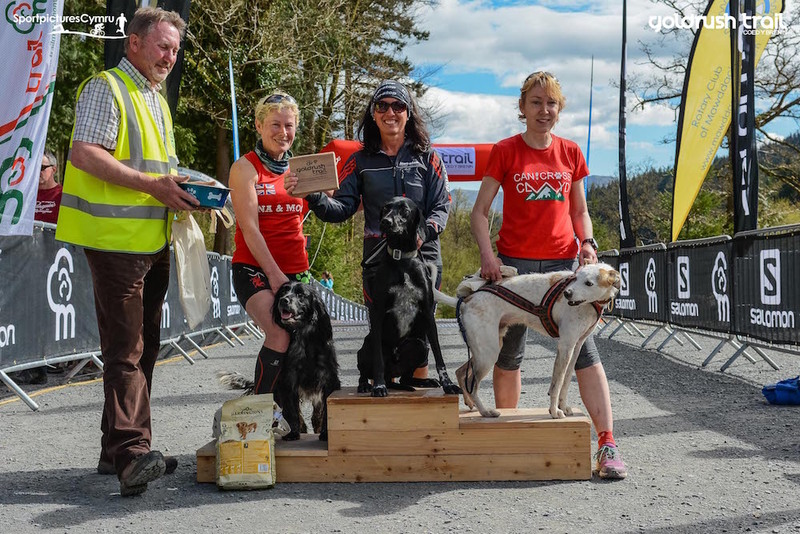 European Canicross Champion Kim Mazzucca returned to defend her crown in the Canicross race which started out 30 minutes after the trail runners. The Forest of Dean runner was once again good enough to beat the whole of the field to take the overall victory. Her fast time of 1:00:44 was a little outside her course record from last year. Lee Thornton won the men’s event in 1:02:57, finishing second overall and out-sprinting Neil Davies by just one second. 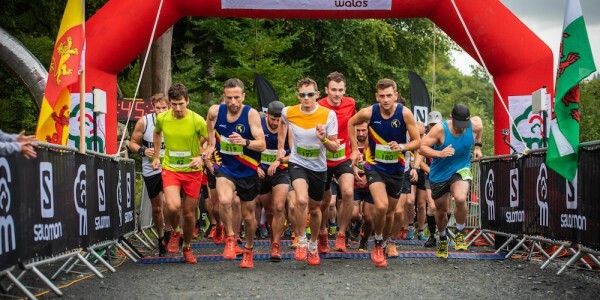 The race exuded a community feel and with the local Mawddach Rotary Club of Dolgellau benefitting this again year to the tune of £700, local charities and good causes will once again feel the effects of the event in the locality. The Rotary Club also supplied the marshals around the race route and staff at the registration and finish line. Ganllwyd Community Council looked after the water station at the Goldrush and will benefit from a donation that will enable them to continue their great work in the local community. 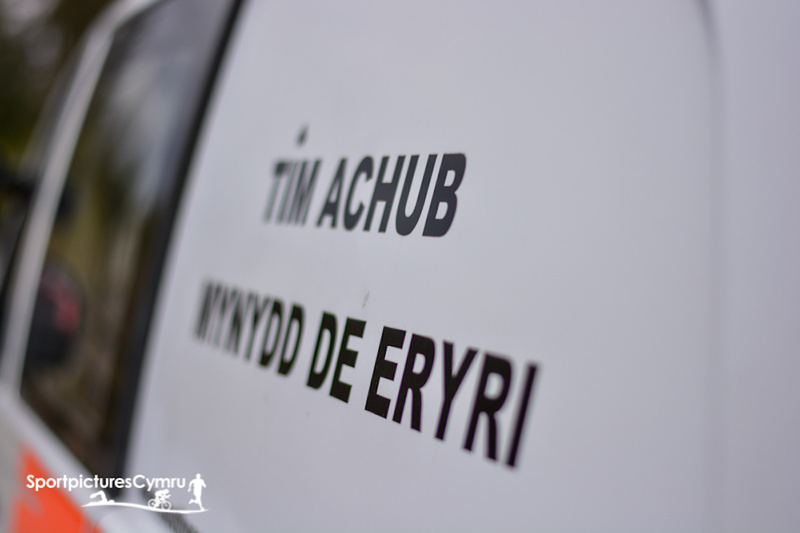 The event was also supported by another beneficiary, the South Snowdonia Search and Rescue Team, who offered medical support and emergency coverage out on the route. The Team provide support to all five Run. 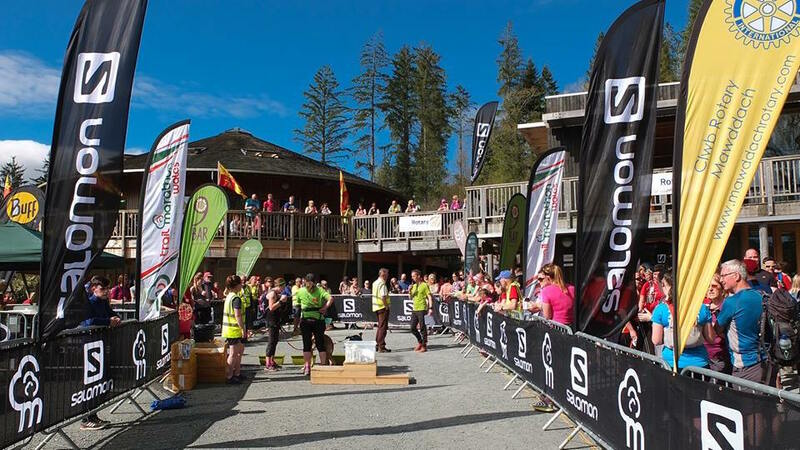 Coed y Brenin events throughout the year. 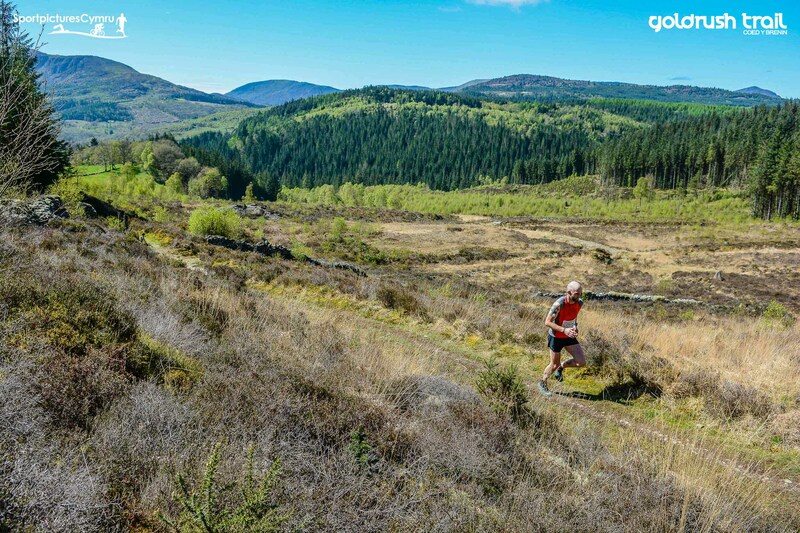 The 2018 Goldrush Trail race will take place on Saturday the 21st of April, with entries going live on December 1st, 2017 via the race website.